MSJE offers Group Visits special ticket prices. Encouraging new understanding and appreciation for identity, diversity, and acceptance. Our Mission: The Museum of the Southern Jewish Experience explores the many ways that Jews in the American South influenced and were influenced by the distinct cultural heritage of their new homes. Through exhibits, collections and programs focused on the unique and remarkable history of Southern Jews, the Museum encourages new understanding and appreciation for identity, diversity, and acceptance. in the twentieth century. Following World War II, generations of young southerners—Jews among them—left their small hometowns for more promising careers in larger cities. While Jewish culture thrived in the metropolitan centers, Jewish congregations dwindled in the smaller communities, and historic rural synagogues which had once flourished as centers of worship and heritage were abandoned. Judaic artifacts from these disbanded congregations have been scattered among individuals, sold on the open market, or lost altogether. In many small towns, the story of the southern Jewish experience survives only as a fading storefront or is represented by the remaining Jewish community members. the Henry S. Jacobs Camp, in Utica, MS, a summer camp for Jewish children. The Museum served as a clearinghouse and information center supporting the preservation of Jewish culture in the South. the ISJL, based in Jackson, MS, work to provide Judaic services and cultural programs to Jewish communities across a thirteen state Southern region. The Utica site was closed in 2012 in part to make way for the expansion of arts facilities at Jacobs Camp. A search was undertaken to identify the best location to relocate the Museum, with an eye toward reaching a much larger segment of the regional and national population. New Orleans was deemed that ideal spot. With a city selected, the ISJL board passed a resolution separating the Museum from the institute to ease its relocation and ensure that it had the proper breathing room to grow into its own potential as an educational and cultural institution. Today, the Museum is poised to become a popular tourist destination, an important educational facility, a heartfelt testament to the legacy of Judaism in the South, and a vibrant center for cultural exploration and understanding. Is this the same Museum that was at Henry S. Jacobs Camp? Yes and no. The original Museum of the Southern Jewish Experience, which was established in 1986 at Jacobs Camp, in Utica, MS, was shuttered in 2012. While it served as a wonderful teaching tool for summer campers and as a repository for artifacts from disappearing Southern Jewish communities, its location made it difficult for the public to visit. The board of the Institute of Southern Jewish Life, in Jackson, MS, resolved to find a more accessible location for the Museum. In 2017 it separated the Museum from the Institute, giving it the flexibility to re-establish and re-energize itself in New Orleans. The new Museum is working with world-class exhibit designers Gallagher & Associates to create an interactive experience that will be engaging, educational, and entertaining to Jews and non-Jews, Southerners and non-Southerners alike. Is the Museum part of the Institute of Southern Jewish Life? The original Museum actually gave birth to what is now the Institute of Southern Jewish Life. But as the ISJL mission broadened and diverged from the Museum, a decision was made to separate into two entities, each with its own management, boards, and funding. 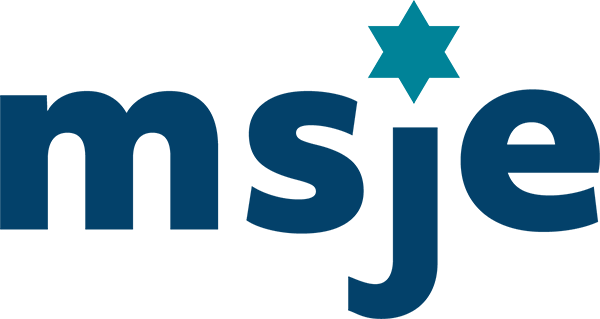 The MSJE and ISJL will continue to work cooperatively on certain projects, and they will promote cooperation using some cross-board representation. 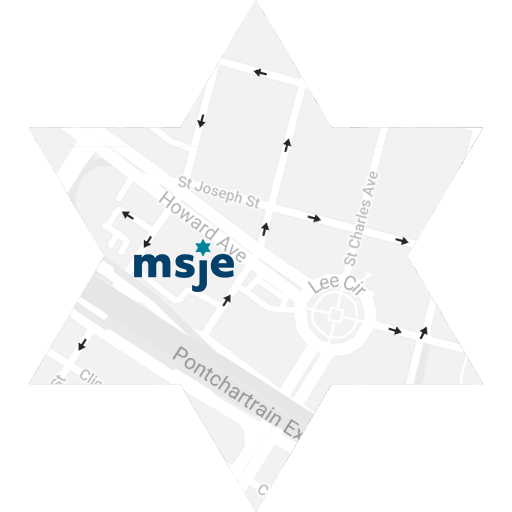 The MSJE is a new Louisiana non-profit corporation. Gifts to the MSJE will be used only to support the capital needs and operating expenses of the Museum and to deliver on its mission. A planning committee looked at several cities across the South. The qualifications they were seeking included a city with a vibrant Jewish population, one with a healthy tourism economy, and one that did not already have a Jewish-themed museum or other cultural attraction. New Orleans fit the bill to a tee. Tulane University’s strong Jewish student population and growing Jewish Studies program adds exciting opportunities for research, internships, and reunions for students, faculty, and alumni alike. Have you done a feasibility study to support the operating and financial assumptions underlying the Museum? Yes. Working with Gallagher & Associates’ economic development team, we conducted a thorough feasibility study, comparing our plans to other Jewish museums across the country and to other similar sized museum destinations in New Orleans. The study looked at expected number of visitors, income, expenses, and short and long-term growth. The study found that our planned museum has the ingredients to be a success. If you are interested, a copy of this study can be made available to you. How many visitors do you expect each year? Our feasibility study predicts an annual attendance of 40,000. We have based our operating budget on 35,000 a year. What kind of support does the Museum have from the New Orleans Jewish community? Before the Campaign went regional and national, it quietly raised about one-third of its goal from donors—individuals and foundations—in New Orleans. It is important, we know, to have strong support from our host city. These early leadership gifts confirmed the appropriateness of New Orleans as the home of the Museum. What kind of support does the Museum have from the New Orleans tourism community? Before we raised our first dollar, we approached the New Orleans tourism and business community seeking support. We have strong letters of support from the New Orleans Tourism Marketing Corporation, the New Orleans Convention and Visitors Bureau, the Greater New Orleans Foundation, the Office of the Mayor, Tulane University, the National WWII Museum, and the Historic New Orleans Collection. How will this Museum be different from other Jewish museums in the country? There are many Jewish museums across the country, even a few in the South, like The Breman Museum, in Atlanta, and the Houston and Dallas Holocaust Museums. The Museum of the Southern Jewish Experience will distinguish itself by focusing on the entirety of Southern Jewish history, across many years and across many states. Of course, no museum covers its subject exhaustively. But our Museum will serve as a historical and cultural entrée into why Jews came South, how they were received, their triumphs and tribulations, and their unique stories and accomplishments. The Museum has created a Historical Advisory Committee of more than a dozen Southern Jewish historians, writers, and researchers, to provide guidance and content. Exhibits topics will include Colonial Jewry, Jewish immigration waves, Jewish businesses, Jews and the Civil War, Jews and the Civil Rights Movement, famous Southern Jews, and unique Southern Jewish folk and food-ways, among others. This committee will be working closely with the Museum’s staff and our exhibit designers. Will the Museum tell my family’s story? The Museum has the challenge of presenting more than 300 years and 13 states’ worth of Southern Jewish history in about 9,000 square feet of space. To do this, we are designing exhibits that tell the overall arc of the history, with selected stories of individuals and families that personify specific events, attitudes, and experiences. Stories will be selected that best educate, engage, and entertain our visitors. Many, but not all, will be tied to artifacts in the Museum’s collection that can provide a meaningful visual connection to the past. The Museum is actively adding to its collection for the purpose of exhibit design. So, while no one family will be fully explored, should a donor’s story happen to fit the criteria above, it may very well be included in our exhibits. Will this be a Holocaust museum? No, but we will include exhibits about how Southern Jews reacted to the Holocaust and how many Holocaust survivors remade their lives in the United States after moving to the South. Will the Museum offer public programming and educational programming? Yes. The Museum is planning a wide range of public programs and programs for students. With music, food, film, speakers, workshops, and field trips, the Museum will offer exciting opportunities for people to learn, experience, share, and socialize. Is the Museum seeking donations of artifacts? Yes and no. With limited space and funds to curate our collection, the Museum cannot serve as a repository for every item people want to donate. Therefore, the Museum will be what is called in the field a directed collecting museum. That means that we will collect specific things that we need for our permanent and special exhibits. It is very important that the Museum have the flexibility to accept those artifacts and archives that it deems appropriate to its mission. For artifacts offered that the Museum cannot accept, it plans to work with other museums and archives across the country to find suitable homes. Besides a monetary donation, are there other ways to get involved with the Museum? Yes. Help us spread the word to friends and colleagues who share your interest in Jewish history, Southern culture, museums, and New Orleans. Follow us on Facebook, Twitter, and Instagram. Take our short interest survey at www.msje.org. Volunteer at the Museum once we are open. Become a Museum Member and take advantage of all of our membership benefits. What is the campaign goal and how much has been committed to date? We need $5 million to open the Museum. We have already raised $4.2 million. Our total campaign goal is $10 million, which will provide a healthy operating reserve and help us create an endowment. Kenneth was born in Houston and raised in Baton Rouge. He earned a B.A. and an M.A. in history from Tulane University, and spent a year studying history at the University of Bristol, in Great Britain. Kenneth has worked as a grant writer for the New Orleans Museum of Art and as the curator of education at the Louisiana State Museum. From 2004-06, Kenneth served as president of the Louisiana Association of Museums, leading the association through the aftermath of Hurricane Katrina. He recently ended an eighteen-year tenure as director of education at The National WWII Museum, which he helped open on June 6, 2000. Kenneth, his wife, and their two daughters live in New Orleans’ Black Pearl neighborhood, yet don’t eat at Camellia Grill nearly enough. The Museum’s Charles Zucker Internship Program provides opportunities for college and graduate students interested in gaining museum, non-profit, and Jewish community work experience. Internships are generally one semester or summer in length. Duties vary based on the needs of the Museum and the skills and interests of the interns. Modest stipends are available. The Museum actively works with Tulane University’s Center for Public Service to help students fulfill their service requirements. As the Museum prepares to open in 2020, we will have a variety of volunteer opportunities, including artifact preparation and office assistance. Once we open, we will have even more opportunities to volunteer, including as gallery guides, docents, collections researchers, and office assistance. Nerve, extreme arrogance, brazen presumption, confidence, as in “It took real chutzpah for him to ask for a raise when he kept showing up late for every appointment.